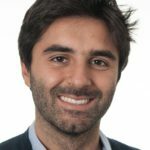 Filippo holds an MSc in International Trade Finance and Development from the Barcelona Graduate School of Economics as well as a MSc in Development Studies from the Universita’ degli Studi di Bologna. Before joining the IGC, Filippo worked at Innovation for Poverty Action on a research project on the readymade garment sector in Bangladesh, did consulting work on a microfinance project in Mali and participated to research projects on agricultural economics and political economy with local research institutions in Italy. His research interests are in political economy, economic history, public policies as well as broader development economics.